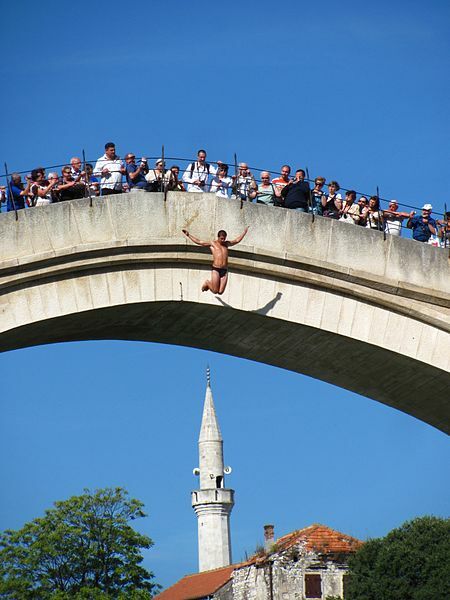 The other guide was in Mostar during the war. Mostar was not under siege, but there were heavy street fighting and shelling. 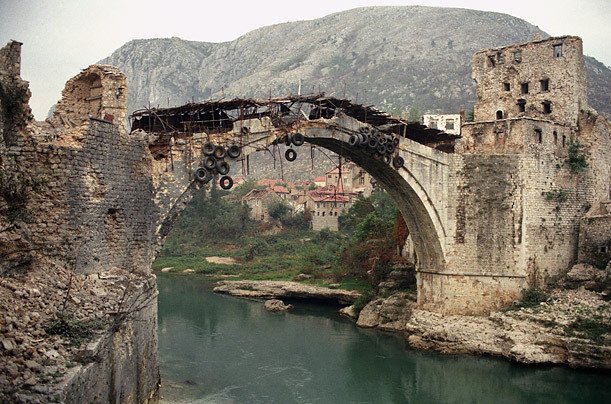 Among the greatest damage was the destruction of the Stari Most (Old Bridge in English), which was built by during the Ottoman time in the sixteenth century and which gave the city its name. 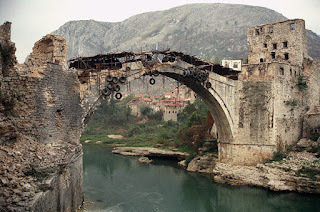 The guide said that when the bridge was destroyed on 9 November 1993 by the tank fire of the Bosnian Croats, he vowed to himself that the day when the bridge was reconstructed, he would celebrate by jumping down from it. True to his word, he did so when the reconstructed bridge was inaugurated on 23 July 2004. He had also been taking part in the annual summer diving competition until he stopped a couple of years ago. It has been seventeen years since the war stopped, but both men are deeply dissatisfied with the political situation of the country, regarding the politicians as inept, selfish and corrupt. They are nostalgic about the days in which Bosnia and Herzegovina was part of former Yugoslavia, and have become so disillusioned that one has now become a member of a small independent political party and the other has decided to move to Norway, the native country of his wife. It seems that towards recovery and reconciliation, there is still a long way to go.